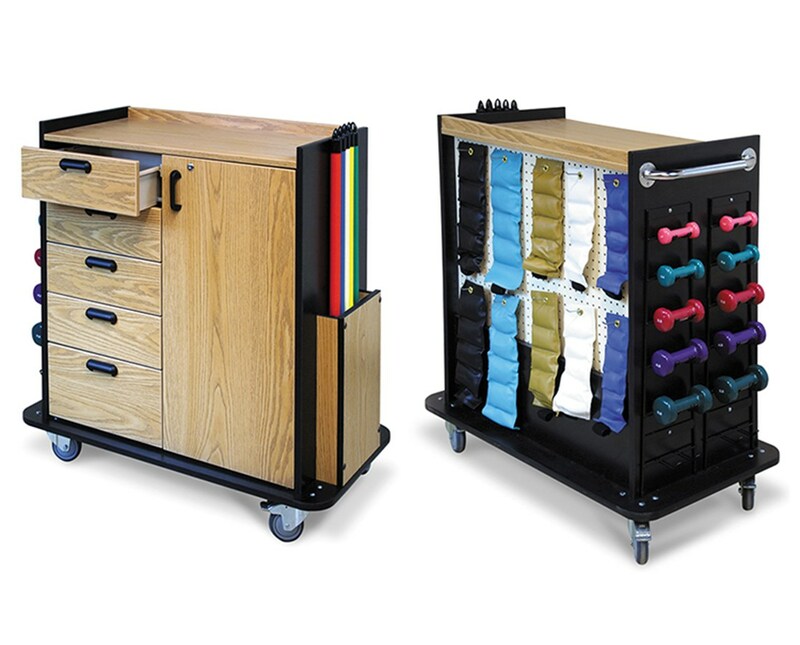 The Hausmann Industries Mobile Therapy Station is a compact medical storage device designed to store Hugger® Weights, Dumbbells and weight bars. With its laminate finish, the Therapy Station is durable, has an almond coated pegboard with ten (10) 2" safety hooks for Hugger® Weights and hooks for ten (10) dumbbells. It features a top laminate surface of 36" W x 18" D and 3mm PVC edging on all exposed edges. The station has five (5) included drawers are 18" wide & are made of high impact polystyrene and an 18" W Oak Laminate Door with a lock. 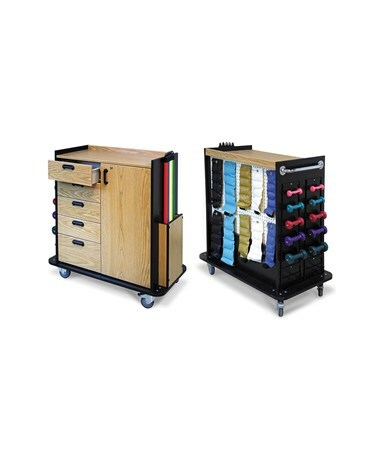 It has a grab bar and is mounted on durable 4" locking casters for hassle-free movement around the facility.